Who REALLY likes wearing a real bra?? I mean they are okay until half way through the day, when I start feeling restricted and uncomfortable. That’s why I am a huge fan of bralettes. You can stay decent and be cute at the same time. Oh, and on the plus side, it doesn’t matter if a little bit of a bralette is exposed, compared to a bra. This is one of my go to outfits for lounging around the house (substitute the jeans for leggings) or a lazy weekend day of running errands. Basically, just the perfect combo for taking it easy! YOur pretty look got me excited for Spring!!! 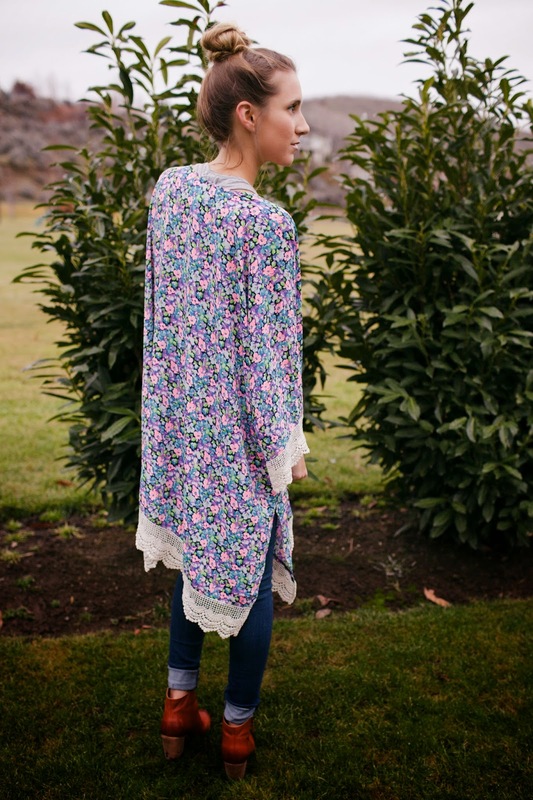 You have the cutest kimonos and rock them very well! i like to most is bra in this pictures.